Mary is an artist, writer and lecturer living and working in Brighton, England, and in the Lot region of France. 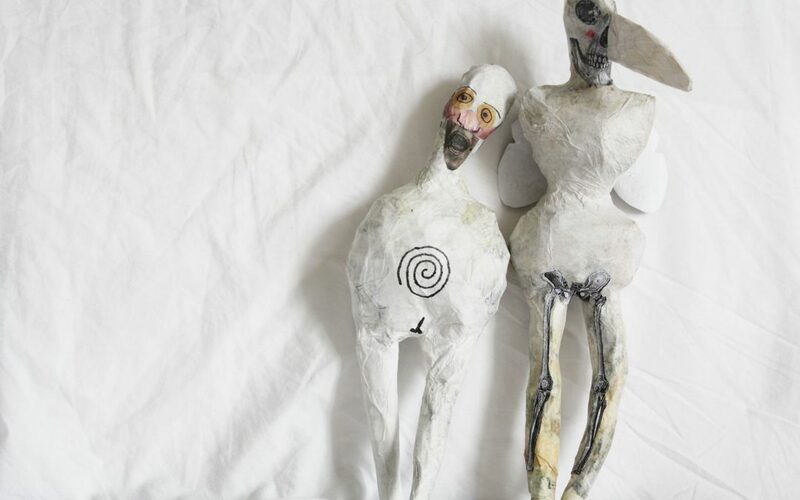 Among many other creative activities, she creates weird and wonderful papier-mâché “creatures”, which are frequently inspired by tales of bizarre and macabre human and animal activity. The artist has pieces in private collections across three continents. From her creatures to her oil paintings, she exhibits a variety of works in a wide range of media when taking part in exhibitions, group shows and open houses.